So, Jacqui, you’ve written a lot of nonfiction as well as your new novel. Did any of these projects take you way out of your comfort zone? I can understand that. I started with nonfiction, too–biographies of family members. Each project is a challenge in its own way. For fiction, though, we have to create our characters from scratch. Who’s your favorite character you’ve written so far and why? Since I have more geek than human DNA, my favorite character is Otto, the artificial intelligence that my main character, Kali Delamagente, programmed. He’s un-opinionated, non-emotional, non-judgmental, and always ready to go. Of course, I have the advantage of knowing what an amazing character he grows into in the sequel. What’s been the most memorable piece of research that you’ve turned up? It has to be how DNA can be programmed with whatever is needed and is entirely invisible because it’s organic rather than bits and bytes of the typical virus-code. I remember reading about how a spy snuck state secrets across the border by programming the data into his own DNA and then walked out of the country. Since I’ve read about high school students programming songs into DNA, this seems entirely plausible to me. Wow–that’s way beyond encrypted emails or notes passed between operatives. Have you ever worked with any ideas that were even more speculative than this? I came up with a way to time-travel that was entirely defensible using already-existing science. Think about the Big Bang and how we can go back to almost the Universe’s birth. Scientists can ‘see’ what happened before our world even existed. The reason I didn’t use it is that the concepts are a bit challenging intellectually and I was afraid I’d lose my audience in the scientific weeds. That can be a concern–too much world building and the story suffers. What project are you looking forward to next? 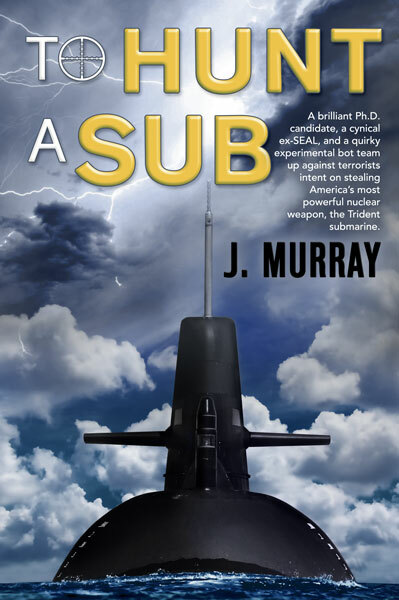 Currently, I am working on final edits for the sequel to To Hunt a Sub named Twenty-four Days. It will include the same characters with a bigger emphasis on several minor ones in To Hunt a Sub. Have you ever done an interesting interview to get background information? I have! One that affects me to this day is an interview I did with a professor friend at UCLA who is by far the smartest man I know. I asked him to explain how he thinks (I know—a way too general question). He gave me procedurals that I use in my over-the-edge brilliant character. For example, my friend explained how he can read multiple books at once because he grabs entire phrases rather than the word-by-word most of us do. I added these characteristics to one of my characters and ended up with a genius guy who is fascinating to follow. That does sound fascinating. I’ve done interviews to gain background information, but I’ve never asked someone how they think. Although perhaps how writers create their tales touches on that topic somewhat. How much do you structure your stories before you write them? I lay everything out in a spreadsheet. It starts very general. I add detail to the rows below the line item, inserting rows as needed and moving detail around when necessary. I have a column set aside on the right for plot points that must be developed. I usually max out what Excel allows before I even finish the draft! By the time I convert it to text for my Word document, I have close to 70 pages. That’s a lot of organizing. Do you find it more difficult to write your first draft or to revise? By far, it’s more difficult to revise. The first draft almost writes itself based on ideas in my head and research I do. That might be the most fun part of the story. What has been the hardest thing about publishing for you? For me, it’s the rejection. I’m pretty thin-skinned and often have to cheer myself up after reading query rejections and writing group comments. But, I recognize that criticism comes with the territory so I persevere and just try to get to the next step. It took me a long time to get to this gem in my writing so allow me to share it with everyone reading this interview: Know your voice. And then, be true to it. Don’t try to write in a style that doesn’t suit you. Figure out what allows your thoughts to flow and stick with it. 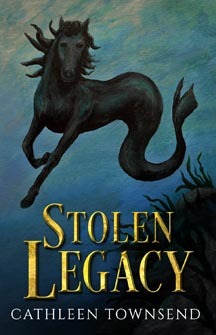 You can find out more about Jacqui’s novel at https://worddreams.wordpress.com/store/to-hunt-a-sub/. Love this interview with Jacqui Murray. You always ask perceptive questions that bring out interesting responses. You asked and she talked about many fascinating things. I agree. These are unlike the norm. I spent some thinking time before answering! Thanks so much. I love these interviews–I always learn something. I had no idea some people read in phrases. And I would have never thought of interviewing a genius. Thanks so much for hosting me, Cathleen. This is fun! A very interesting interview, Cathleen. Great to get some more gen about your thought process on writing, Jacqui. Wow, you are super-organised! Also love how your favourite character is the A.I. guy! 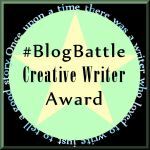 Your advice about finding ones voice is SO important I agree – I think as long as a writer tries to copy somebodies else’s style they are setting themselves up for disappointment. Takes time though to find and trust that voice. I think that ‘finding your voice’ step is how we writers can make an infinite number of stories from five basic plots. I think finding our voice is so pivotal because that’s what makes us–us, in writing terms. Our voice is the most fundamental reason to read our story. Every story’s already been told in some form. But it hasn’t been told the way we tell it. Our characters, our plot twists–all wrapped up in language that’s as seductive to the ear as we can make it. Cathleen, Enjoyed reading your interview which has revealed fruitful insights about Jacqui Murray and her works. Thanks for dropping by, Joseph! Great to see you here. Today’s been fun–Jacqui’s an interesting lady.